You guys are awesome! All my readers, I love you!!! Word of mouth advertising is the bomb and I can’t thank you guys enough for liking my writing so much that you’re telling others about it. I mean not just five friends, you guys have been telling your yahoo groups, google groups and even your myspace friends. I’m floored, flaberghasted and forever grateful! I’d like to say hello to the newbies who’ve never read me and hello to the oldies that just caught on. 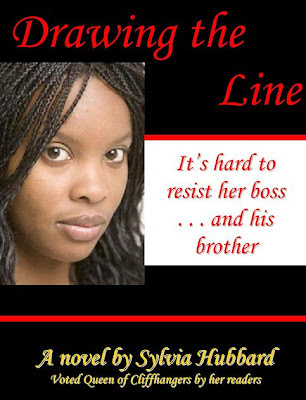 If you’re playing catchup, please go to www.drawingtheline.wordpress.com/about and save that to your favorite page so you can make sure you get the chapters as they come section by section. Someone asked when I was going to make an html of it all. I’m working on that to make it accessible but not too accessible. Keep passing the word. Make sure you subscribe for instant updates and keep giving me comments. That fuels me to keep writing. Need fuel. Need fuel. Need fuel. Check it out and send me something nice. My old readers know I’m a DVD nut, but the electronics are nice too. Hint hint.